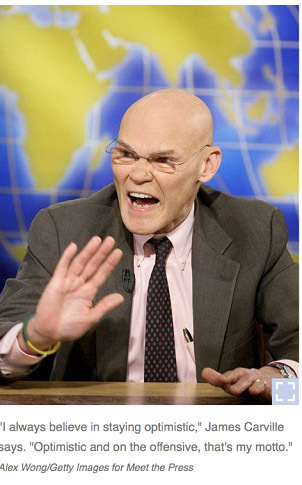 The iconic campaign slogan was created by James Carville, Bill Clinton’s campaign chairman in his successful ousting of George H. W. Bush in the 1992 presidential election. Bush’s popularity had soared to 90% in March of 1991, shortly after the invasion of Iraq. But by the Summer of 1992, with the country trying to emerge from a post war recession, a stunning reversal had taken place with a whopping 64% of the country disapproving of the President. Over the Summer of 2016, the upbeat Conway repeatedly asserted that Trump was going to win. I mean, what else would a campaign manager say, right? But Kellyanne had more to say about the coming Trump victory. She maintained that there was a “Hidden Trump Voter”– some segment of the population that wouldn’t answer survey questions from polling companies honestly. They had been embarrassed to admit that they were going to vote for Trump, but they were going to vote for him. Main stream media pundits laughed at her, made snide condescending remarks and touted poll after poll that showed that Hillary Clinton would be the next President of the United States. 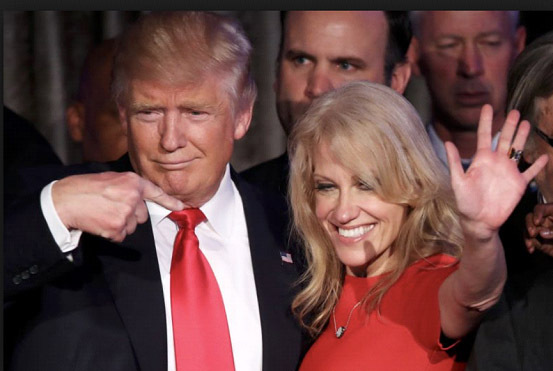 Perhaps they had forgotten that Kellyanne was the owner of a successful political polling firm when she became Donald Trump’s campaign manager—the operative word is successful. It is astonishing how often major national polling firms make predictions about political races that turn out to be dead wrong. I mean how do these people keep clients? Hey Frank, wake up and smell the ballots. For days after the election, Luntz and other pundits and pollsters came up with myriad of reasons why the polls and predictions had been wrong. CORRECT WORDING IS CRITICAL IF ONE IS GOING TO GET AN HONEST ANSWER TO A SURVEY QUESTION. This is true in political polling and it is true in marketing surveys. Doctor Shaw walks into his clinic. On his way to his office, he passes his office manager, Cindy. Except Cindy is not fine. She had a fight with her boyfriend last night and she’s hung over. “Fine” is a social answer to the question. As were the answers given by a segment of potential voters in the 2016 Presidential election. Creating survey questions is both an art and a science. Survey questions must be created in such a way as to bypass “social communication machinery” and get to the guts of the matter. There is technology on how to do it. Do it incorrectly, and the answers will be wrong, your marketing buttons will be wrong and your sales and income will suffer. Do it right and the angels sing. I’ve been creating survey questions for businesses in virtually every industry sector imaginable for more than 25 years. So, yeah, I’ve written a few survey questions, questions that get honest answers and buttons that can be used for successful marketing campaigns. If your marketing isn’t quite doing its job, you might want to give us a call.